It was only a matter of time before Bravo’s hit reality TV franchise The Real Housewives, received the ultimate compliment… its very own parody stage show. 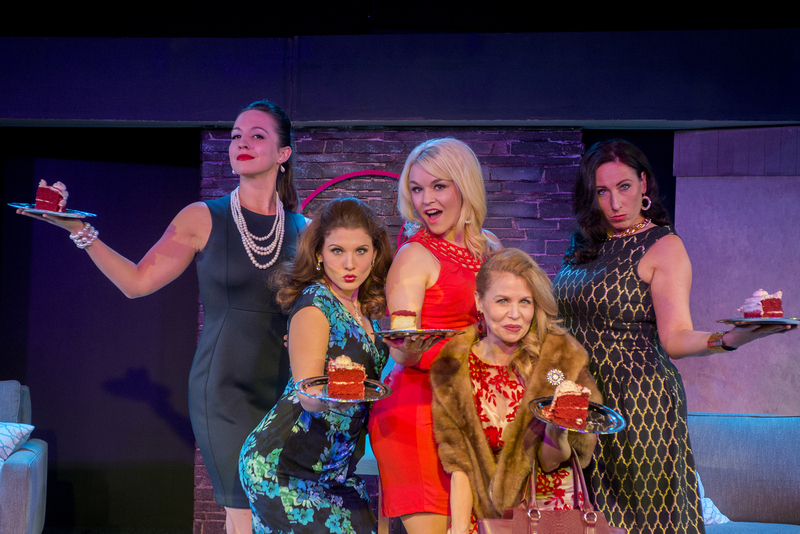 Opening last night, The Realish Housewives of Edina: A Parody, aims to take the larger than life personalities, drama and drinking to a whole new level. Staged like a reunion show, this parody pairs the formula fans are familiar with from the TV show with local politics, celebrities and stereotypes. Lead by Randy Bowen (Adan Varela) who plays a very convincing Andy Cohen rip-off. He keeps the housewives in check and ushers in the drama and discord. As Ravonka the uber rich royal with an Eastern European accent and married to a Baron no one believes exists, Kim Kivens kills it. As a fan of most of the versions of the series, I can see so many of the housewives rolled into her over the top zany character. She carries this show and it is obvious she is having a fantastic time while doing it. The show also involves some audience participation. One lucky guy, Bradley, got to become the center of Claudia Louise “CL” (Quinn Shadko)’s world. He did a fantastic job playing a long and really got into the role. Though full of overhyped drama, feuds and parties. Just like the TV shows. The Realish Housewives of Edina: A Parody delivers on the laughs and a fun night at the theatre. Perfect for a girls’ night, or a date night. The Realish Housewives of Edina: A Parody is playing at the New Century Theatre at the City Center building in downtown Minneapolis through November 15. For more information on the show, visit Hennepin Theatre Trust’s website.